I am sad to report that long-time Sheffield Circle member Stan Leslie (Stan Whomersley) died on 6 January. His funeral service on 25 January was well attended by his many friends, fellow entertainers and SCM members. Stan had been a member of the Circle since 1957. 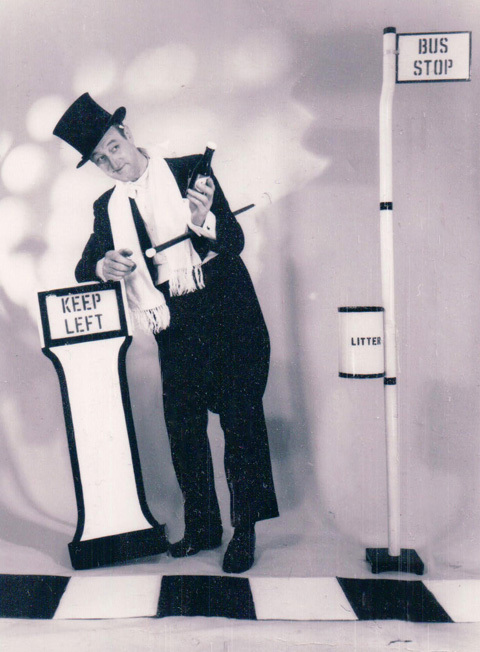 I addition to his magic, Stan was a keen dancer and often reminisced whilst I drove him to meeting about his time driving Sheffield’s Buses and Trams and his time as a “Bevan Boy” during the war. Thanks to Russell Hall we can remember Stan in action through footage of recorded at the Regal Theatre, Worksop, in 1991. This is his “Drunk Act” and contains a huge number of magic moments. A great 15 minutes of magic. This entry was posted on February 3, 2013 at 6:42 pm and is filed under Uncategorized. You can follow any responses to this entry through the RSS 2.0 feed. You can leave a response, or trackback from your own site.